MONDAY 8/21 to MONDAY 9/7 -- Palladia is celebrating the great outdoors with 8 full days of outdoor concerts and festivals from around the globe. Featuring 8 brand new palladia concert premieres every single night! Don't miss highlights from 2015 music festivals such as Radio 1's Big Weekend, Isle of Wight Festival, Download Festival, Hangout Music Fest, Glastonbury and more. This year's Outdoor Week premieres include a variety of big name artist such as Foo Fighters, Florence + The Machine, Fleetwood Mac, Muse, Kiss, Beck, Zac Brown Band, The Who, Kanye West, Jeff Lynne, Judas Priest, The Black Keys, Counting Crows, Blur, Foster The People, My Morning Jacket, Pharrell Williams, Hozier, James Bay, Mary J. Blige, Lionel Richie and many more! 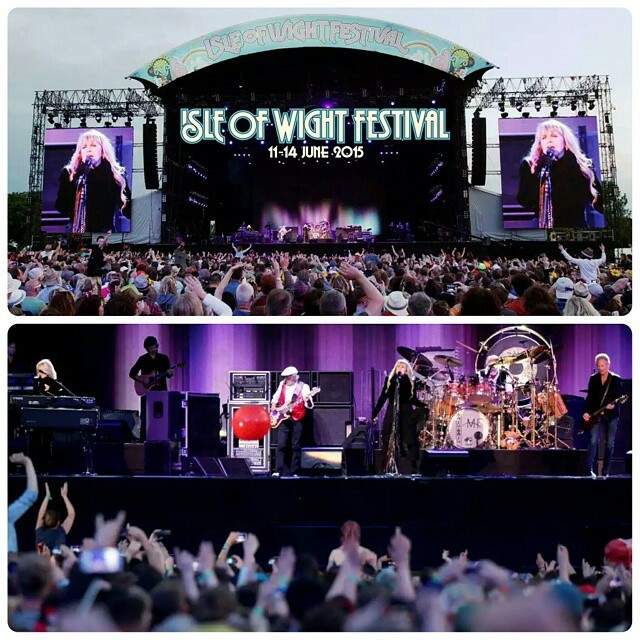 TUESDAY, 9/1 at 9pm EST -- Highlights from the iconic 2015 Isle of Wight Festival from the UK. Features performances by Fleetwood Mac, The Black Keys, Counting Crows, Blur, Pharrell Williams, Kool and The Gang, Paolo Nutini, James Bay, Jessie Ware and more.